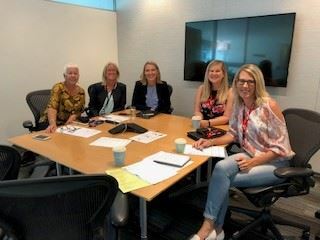 AmCham New Zealand has formed a Women’s Chapter in order to create a forum dedicated to supporting and promoting the interests of women doing business in US and New Zealand. The Founding Committee is made up of outstanding high-level women leaders from American corporations alongside others from New Zealand firms operating in the US. We will have a formal chapter launch in May 2019 and are programming an event series to increase the diversity of voices within AmCham New Zealand. We will achieve these goals by hosting regular events, encouraging AmCham female members to connect through the AmCham database; sharing learning opportunities through our newsletter and facilitating capability-building such as mentoring. To receive our email updates and join the chapter, interested members should log in to their AmCham profile online and check the box to join the Women’s Chapter. If you are not yet an AmCham member, please join here. Please update your LinkedIn profile to reflect your AmCham Womens Chapter membership start date.